Experts of providing highly customizable private tours on the French and Italian Riviera. This is the longest and most spectacular tour we offer. Unlike other tour guide services, Riviera Come True is all about creating custom tours that are tailored to your needs. We do not focus on having set packages that may include seeing things you are uninterested in. Instead, we create tours throughout the French Riviera that take your interests and time into account so you can get the most out of your experience. Our tours are designed to be not only custom and unique but comfortable as well. Discover areas such as Monaco, Monte-Carlo, Provence, Cannes, Eze, Saint Paul de Vence, and much more in a luxury 8-seater air conditioned minivan. This gives you an up-close and personal view of the Riviera for unforgettable sightseeing that other guided tours cannot match. Our guides will meet you at your own private home, rental, or a hotel. Receive a custom tour that starts at your location, maximizing the amount of time you have in the area. You will be picked up in our luxury van from your hotel, villa, rental property, or home and our experienced guides will provide you with a tour that starts and ends wherever you need it to. When you book a tour with Riviera Come True, you are guaranteed to have a great experience. 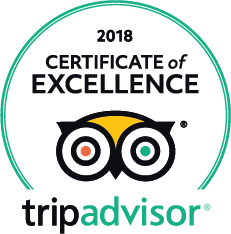 We are passionate about providing quality tours for each of our clients and we take every step we can to ensure you receive an unforgettable tour. Choosing your destinations,starting and ending points, and the schedule is all you have to do. We take care of everything else.